Our LED lighting systems from ShadowCaster will take your outdoor space to the next level. They have really caught on and we are receiving great feedback from lots of happy clients. Truth is, most pool cages and screened enclosures don’t provide much balanced lighting at night. Most directional lighting tends to be too bright at the source and too weak at the perimeter. Our LED lighting systems provide approximately 4 watts per foot. You control it with a remote control or with an app for your phone or tablet. You can also change the color and hue or have it cycle automatically. 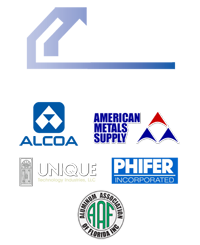 The system is completely weatherproof, the LED’s are rated for 100,000 hours, use surprisingly little power and can be installed on new or existing aluminum enclosures. In addition, you can also install them on handrail or fence. Click here for more information and images. 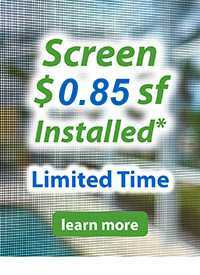 Call one of our sales associates at 941.486.9104 for more information, a demonstration and personalized quote. You’ll be the envy of the neighborhood. 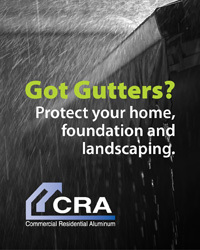 For over 25 years, Commercial Residential Aluminum has built, installed, and serviced seamless gutters, swimming pool cages, screen enclosures, lanais, front entries, fencing, screening, re-screening, screen panel replacements, soffit and fascia, aluminum railings, covered walkways, windows, and much more and much more, for Tampa, Sarasota, Venice, Manatee County, Bradenton, Fort Myers, and Naples.